FREE Starbucks Hot Cocoa K-Cup Pods! You are here: Home / FREEbies / Back In Stock! 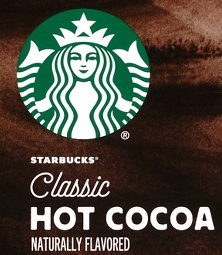 FREE Starbucks Hot Cocoa K-Cup Pods! Back In Stock! FREE Starbucks Hot Cocoa K-Cup Pods! If you weren’t able to get this last time around, these samples are back again! Try NEW Starbucks® Hot Cocoa K-Cup® pods for yourself. You must own a Keurig to qualify! Simply fill out this online form and you’ll be curling up with a cup of rich, creamy cocoa in no time for FREE!